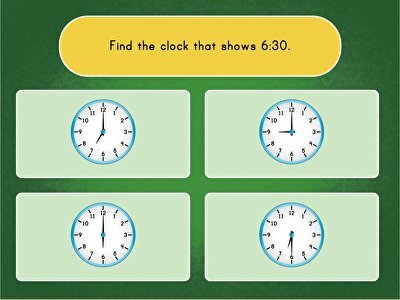 Estimating time is a good first step, but your students become real pros when they can tell time to the nearest 5 minutes. 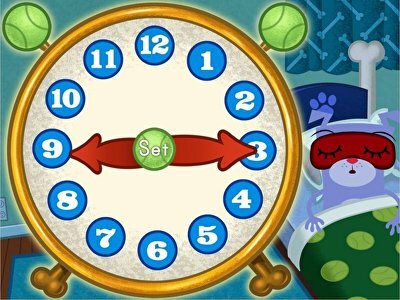 In these clock reading games, your 2nd graders will test their time literacy and reflexes by stopping a clock at the target time, setting an alarm for a very sleepy dog, and taking a time quiz that brings it all together. Kids practice setting the clock to 5-minute increments to match specific times. 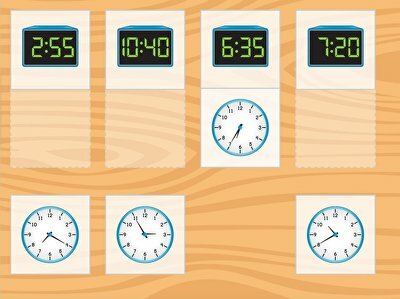 Kids must match digital and analog clocks that show the same time. 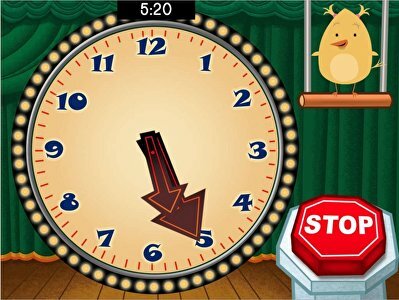 Kids practice identifying analog and digital clocks with specific times.